The design for this 400 key Luxury Resort recalls the aesthetic of Mediterranean Revival Architecture and is inspired by the style of Addison Mizner, the Architect largely responsible for the classic charm of historic Palm Beach. 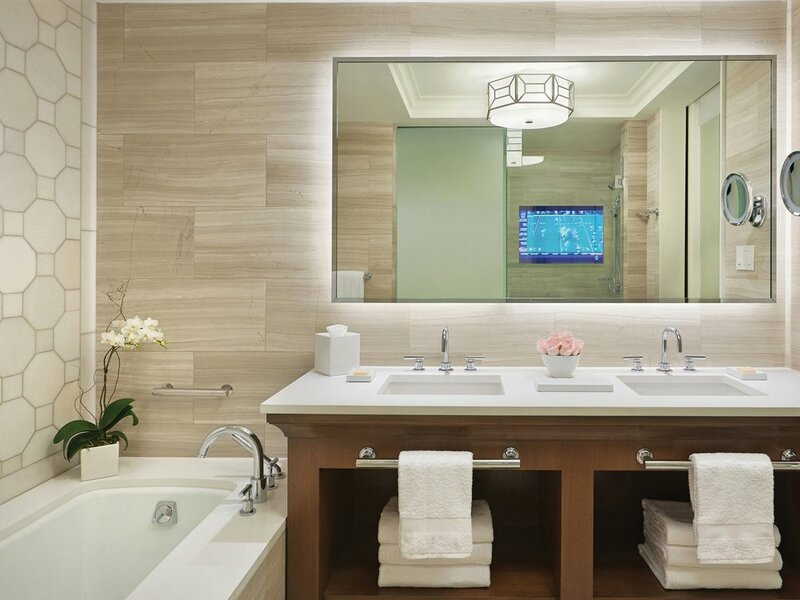 The interiors feature a contemporary interpretation of historical imagery. Vaulted Venetian plaster ceilings, limestone walls, and floor slabs greet the guests upon arrival and form the Lobby and Reception Spaces. 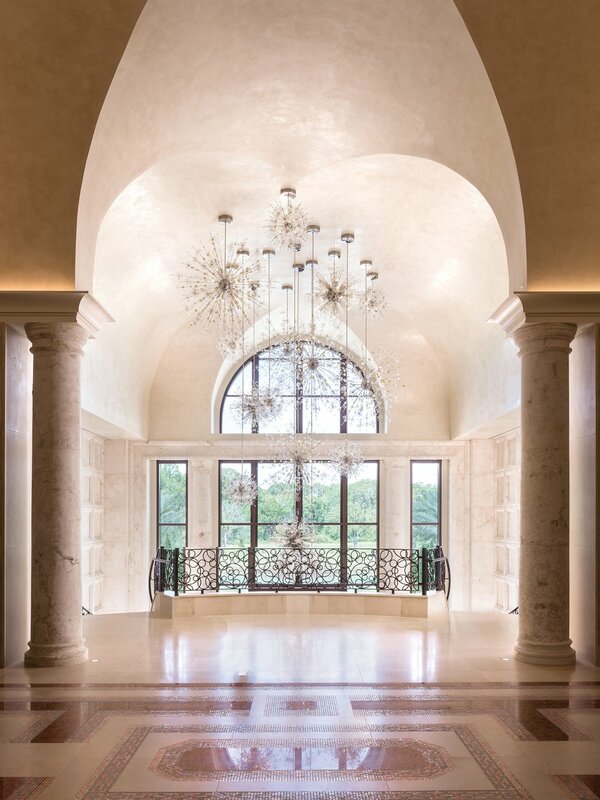 The Grand Stair is accented with a whimsical crystal lighting display reminiscent of fireworks and a custom iron railing of interlocking rings, a motif that is recalled in the bronze plaster curved wall panels behind the Front Desk as well as the wallcovering in the Guestroom Corridors. 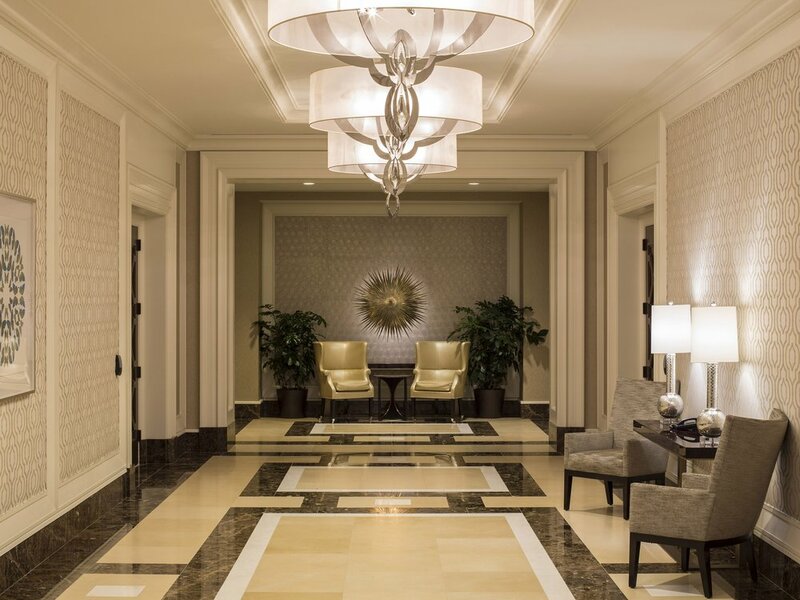 A traditional octagonal pattern borrowed from Mizner detailing appears on the upper portion of the Lobby shadowing the pathway through the hotel. This octagonal pattern is repeated in macro scale on the ballroom ceiling and prominently on the white patterned stone highlighting the bathtub in the typical Guestrooms. On a micro scale, the octagonal pattern appears on some of the light fixtures, most notably the Guestroom pendant, as well as carpet patterns and Elevator cabs. Contemporary furnishings juxtaposition with the interior envelope to provide a classic backdrop throughout the property. Mosaic patterns, a mainstay of Spanish Revival style, are also evident, and the use of glass, in lieu of more traditional stone, provides a fresh direction to the design.